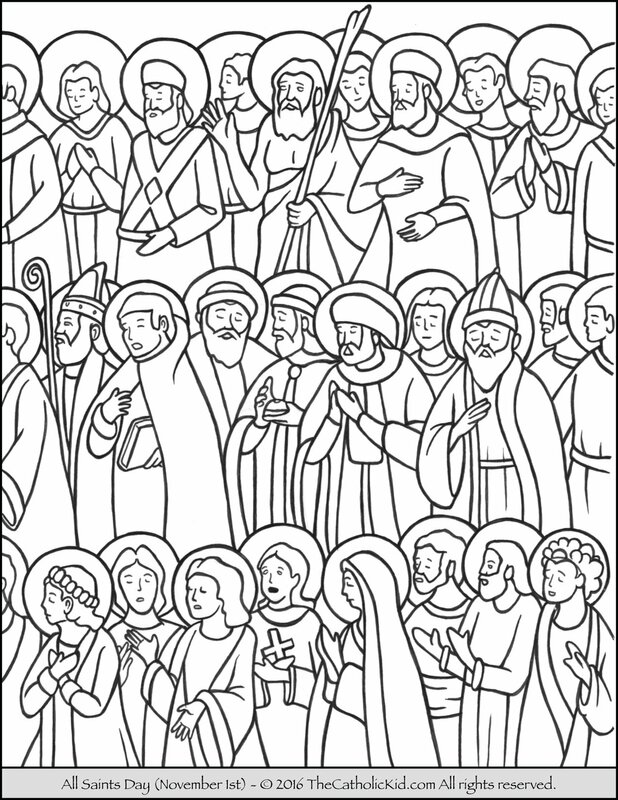 All Saints’ Day (not to be confused with All Souls’ Day) is November 1st and is a Holy Day of Obligation. The day is dedicated to the saints of the Church whom have entered Heaven. Thank you for making these beautiful coloring pages available! We utilize them for our monthly family rosary and potluck ~the children love them!! We would like to see a picture of St. Raphael, if that is a saint who could be represented in the future? Thank you and God bless you! Hi Mente. Thanks for the kind words and suggestion. St. Raphael is definitely on our list and will be coming soon. Sign up to receive our email updates if you would like to be notified. I love the idea of a monthly family rosary and potluck!